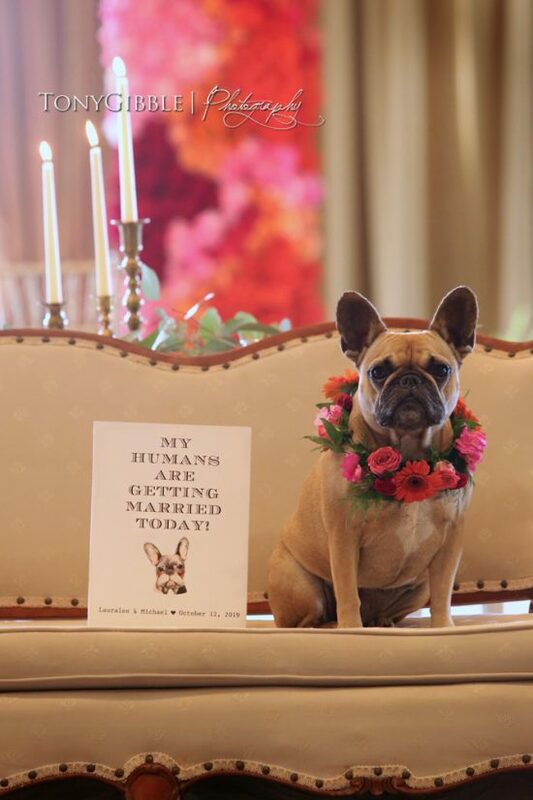 What an incredible 2018 wedding season it’s been, and we can’t wait for 2019! Looking back, it has definitely been one of the most creative years for Persnickety’s custom invitation suites- and also one of the most fun! We can’t wait to see what 2019 brings. Following stationery and paper trends is something the Persnickety staff always loves to watch. 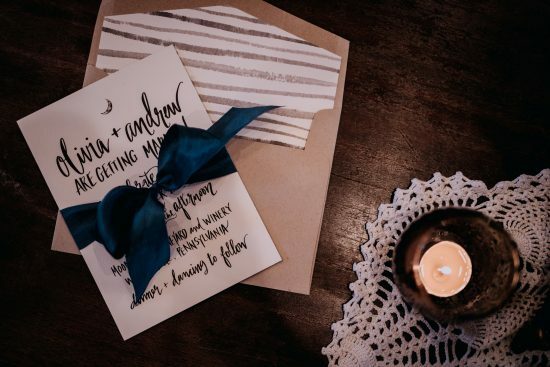 We have gathered our top 5 FAVORITE trend predictions that you’ll be seeing in wedding stationery in the upcoming year. 2019 is burgundy’s year! This stunning jewel tone color is a bold mix of berry and wine, and it has been enormously huge with our fall and winter 2019 brides. It pairs perfectly with navy to create a dark and moody tone (#2 on the list!! ), but it also pairs perfectly with softer, lighter colors like blushes, greys, peaches, and sands for spring and summer events. Burgundy is the ultimate accent color in wedding stationery. 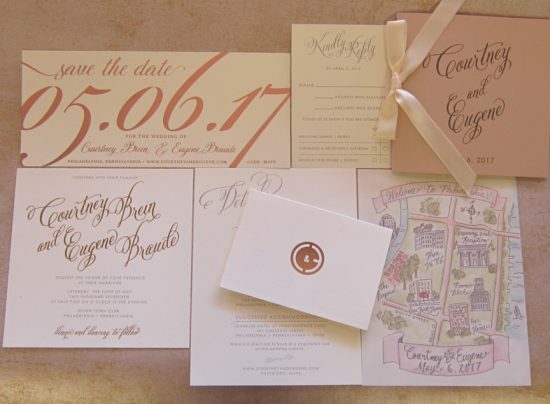 It adds the perfect pop of color but easily balances with more neutral tones of the invitation set. Try incorporating this beautiful berry color into your ink, ribbon, or envelope liner to add a touch of boldness. The dark and moody color palette is so chic and so stylish. Persnickety has seen brides begin to turn away from the traditional light and airy feel and create something totally unique with dark and moody colors. The beauty of the dark and moody palette is that you can incorporate so many colors. It is incredible versatile, and we predict it will continue to grow in popularity into the new year. Try deep purples, blues, browns, and, yes!- even burgundy!- to create dark but elegant centerpieces, floral arrangements, and, of course, wedding invitations. 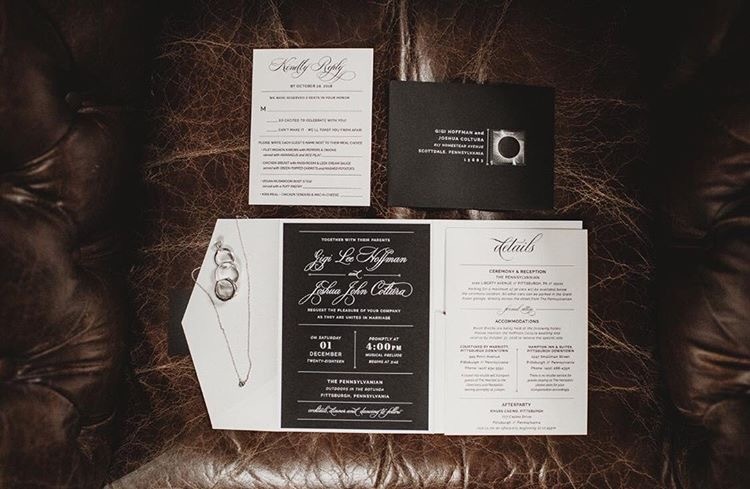 While we’re not exactly the dark and moody type of staff when it comes to personality, dark and moody paper suites are absolutely our favorite styles to design. They create a certain mysterious elegance to every piece, helping to build more anticipation for your big day. Plus, they pair so well with so many fun fonts, ribbon colors, and laser cut pockets. If you love the dark and moody vibe but are not quite ready to take the plunge into darkness, Persnickety has tons of samples of invitations we’ve create that balance between the dark/moody and light/airy. 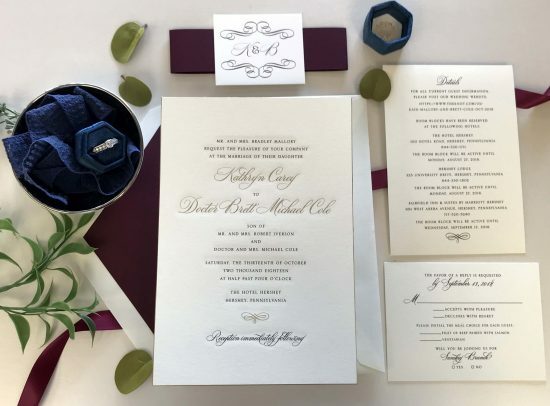 Our invitation specialists can help you create the perfect piece! 2018 was quite the year for royal weddings, and what could make you feel more like a princess than with a fun, personalized wax seal? Wax seals are so fun because they come in literally every color under the rainbow. Plus, you can choose pre-designed artwork or have the designers at Persnickety create something for you that will be printed directly on the wax seal. Put it on the mailing envelope to create a wow factor for guests. Or, put it on the outside of a pocket to show off your new monogram. The wax seal is the perfect option to make you feel like royalty. The wax seals that we use in our studio are a mixture of both wax and plastic, meaning they won’t snap in half when broken, like traditional wax seals do. The customization factor with these little pretties is also huge; you can literally put any symbol or motif on any color that you’d like! 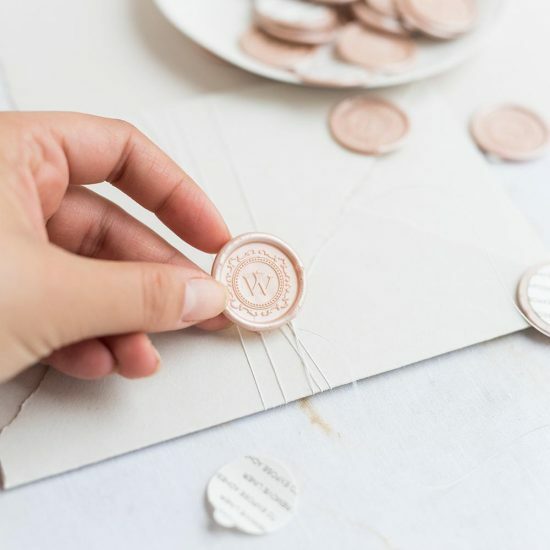 Find out more about why we’re still crushing on these pretty wax seals all the way through 2019 by clicking here. The poor envelope of the invitation suite sometimes gets ignored. Dress it up with a patterned envelope liner! This is a fun, easy, and inexpensive way to add a pop of color or design to your invitation suite. You’ll definitely be seeing this more and more in stationery throughout 2019. From florals to polka dots and everything in between, find out more about why Persnickety has been crushing on this trend for years by clicking here. 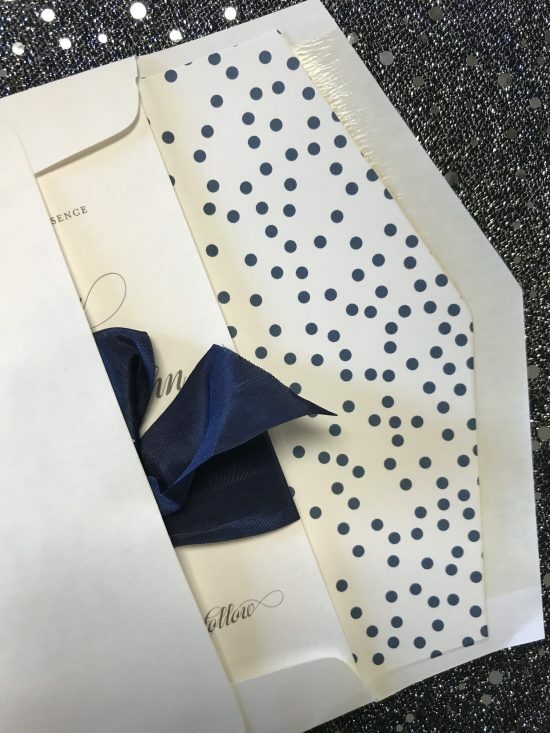 Envelope liners are definitely one of the first eye-catching items of the invitation suite, particularly because it can be so large and, well, enveloping! It easily stands out to your guests and is often the first thing they see when opening your invitation. It also has a big job to do that it does so simply; helping to set the tone of your wedding. Every element of weddings can be personalized. But we predict that you will see weddings be more and more personalized for every couple in something we call couturely customized. Couples truly want to create a fun and unique experience for their guests, and they are doing so by creating memorable, luxurious pieces. Think less branding and more high end couture customization. C’est beau, n’est-ce pas? Persnickety has seen a huge increase in the number of brides who want pieces totally created from scratch for their big day, including things like hand-illustrated monograms, personalized signage, watercolor maps, and more. Additionally, Persnickety gets to use more and more materials we rarely get to work with, like rose gold wire, paper with a cloth like feel, velvet, and 100% pure cotton triple weight stock. This allows us to play at our hardest- using all of our creativity to create pieces that have never existed before that will match both the tone of the ceremony and personality of the couple. It is beyond fun, and we can’t wait to see what our 2019 brides come up with! And there you have it- Persnickety’s top 5 favorite trends for 2019! Which is your favorite? Or maybe one of these trends has inspired you to begin your invitation hunt! Schedule your appointment with an invitation specialist here. Let’s see what you’ve been dreaming up for your perfect paper suite.